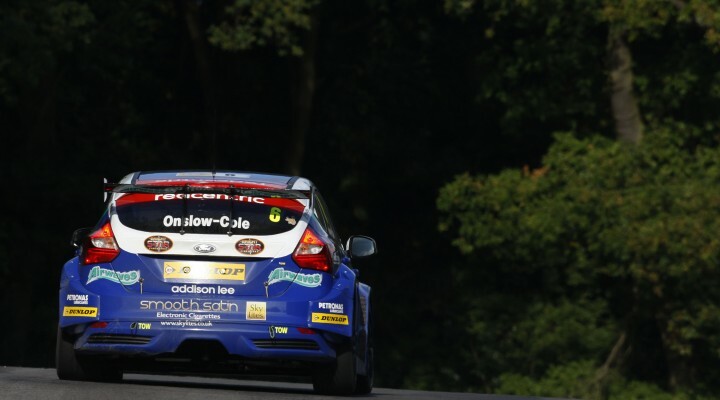 As part of an initiative by official BTCC tyre supplier Dunlop Tyres, three young drivers were given the chance to test a Motorbase-prepared NGTC Ford Focus earlier this week as a reward for their success in the supporting series on the TOCA package. 2013 Formula Ford champion Dan Cammish was joined by runner up Harrison Scott as well as this year’s Renault Clio Cup champion Josh Files at Snetterton in Norfolk for a run in the Airwaves Racing car, with BTCC star Tom Onslow-Cole on hand to offer guidance and support. All three young drivers were given a race-simulation run around the challenging 300 circuit configuration, and impressed Motorbase team principal David Bartrum who said, “For me, it was a good test. Having two champions and one runner up we expected a high level of ability based on where they’ve all come from; but to be thrown straight in at the deep end and step into the Focus NGTC showing the speed and ability they did, away from their areas of expertise, just shows where their talents lie. All three drivers did very well and impressed the whole team. Cammish, who won the Formula Ford championship by a significant margin this year, was buoyed by the dream chance to drive a BTCC car, and enthused, “Today has been brilliant. I felt really comfortable in the car by the end of the run and the speed was there too which was encouraging.